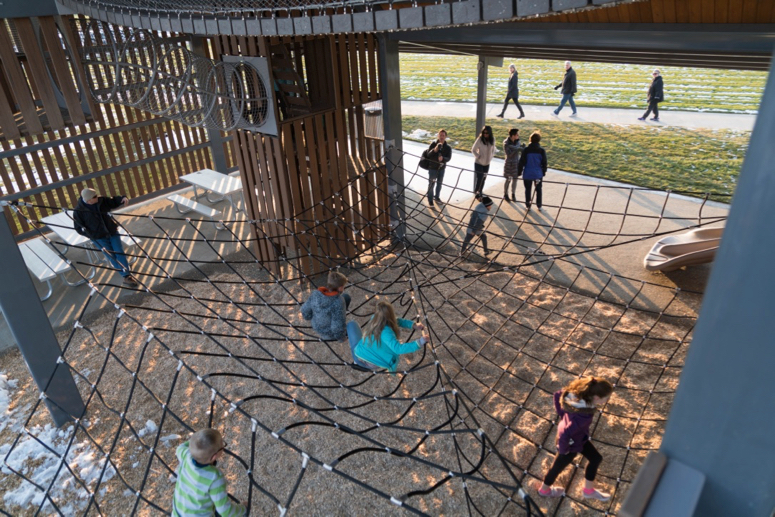 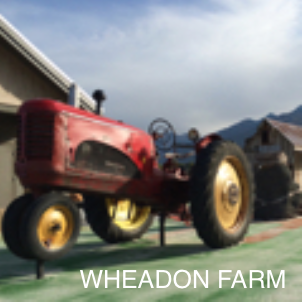 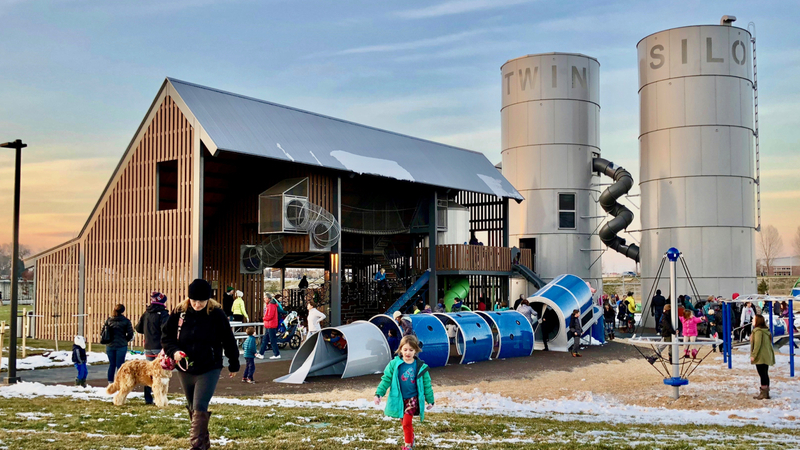 The Park Planning and Development Department of Fort Collins set out to create a park and play experience to go far beyond the typical playground; the goal was to create a comprehensive and immersive farm experience where the community could come together and pay homage to their rich farming heritage. 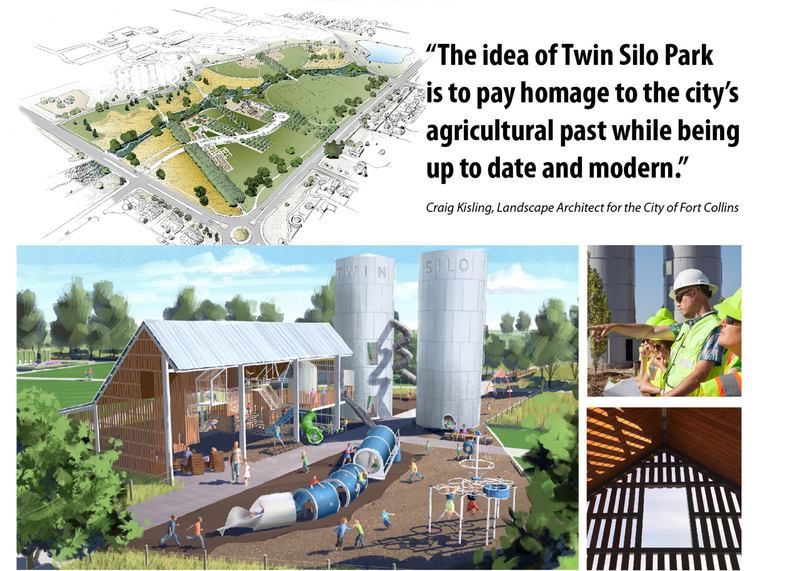 The park boasts the largest community garden in the city, orchards with various fruit trees, natural water play, and of course the HIGH-light(pun intended), Twin Silo Park. 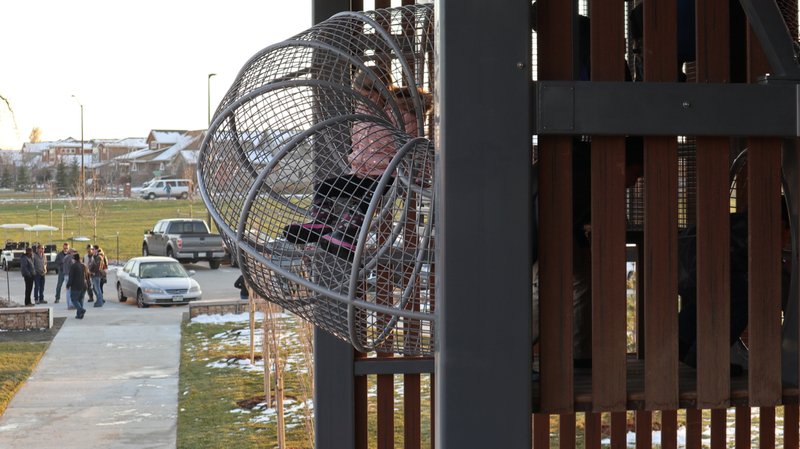 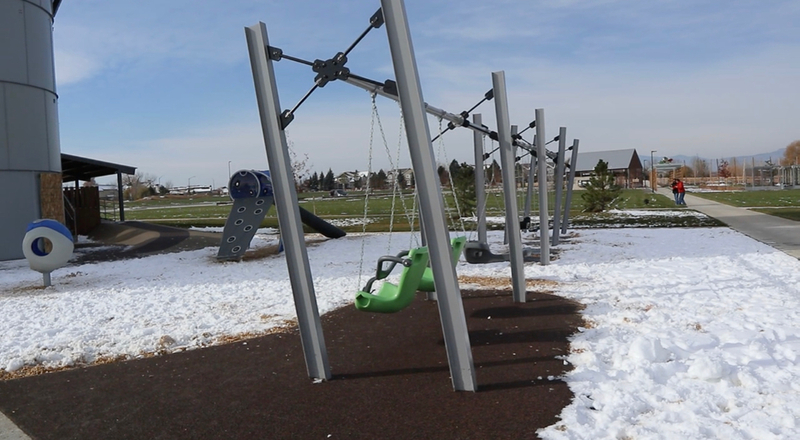 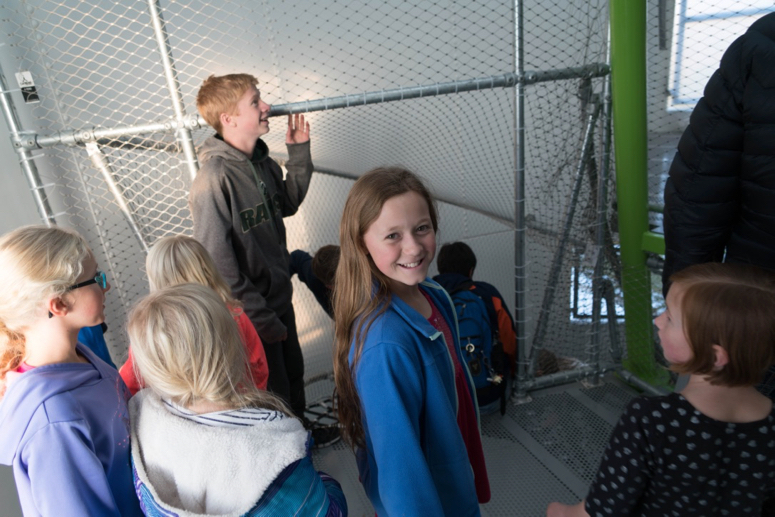 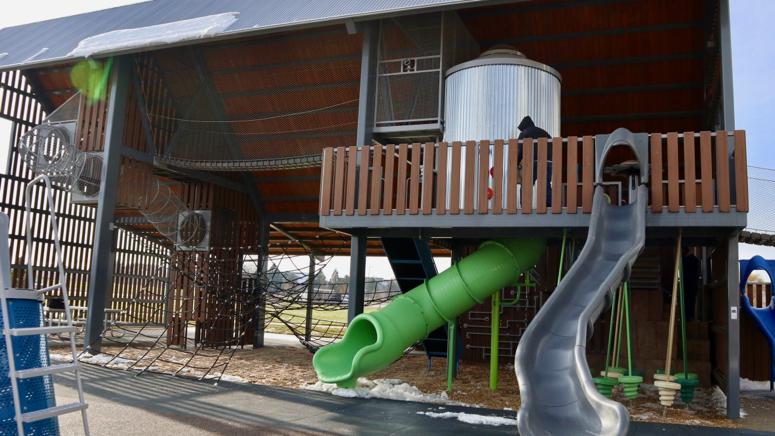 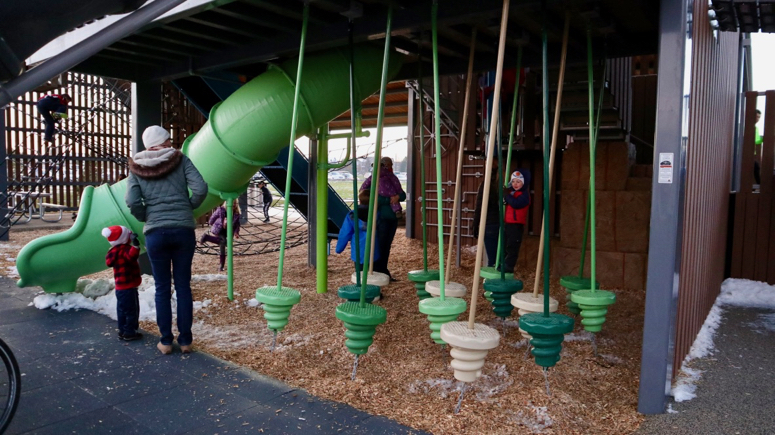 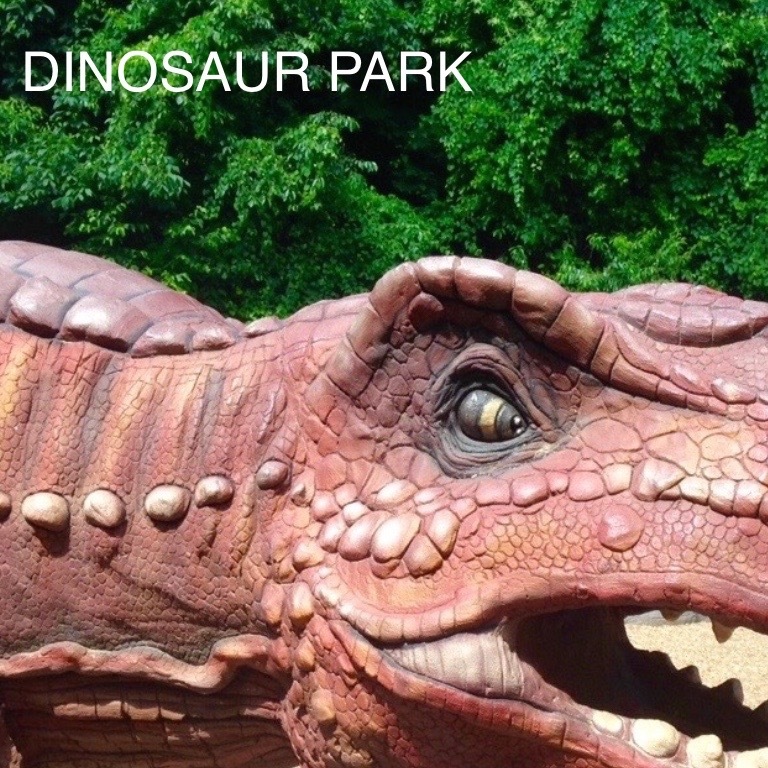 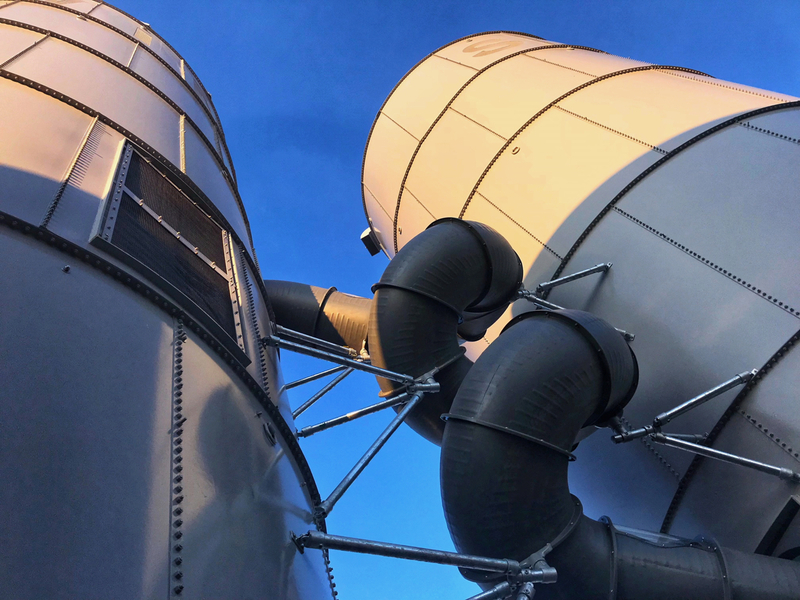 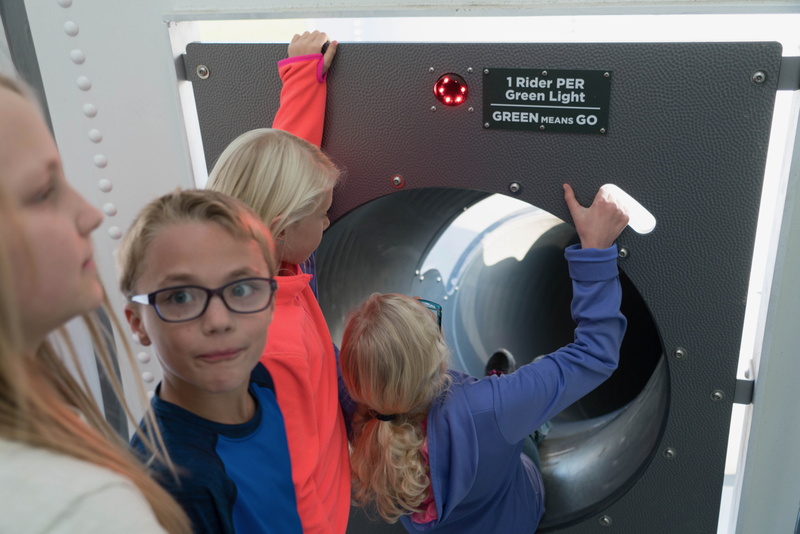 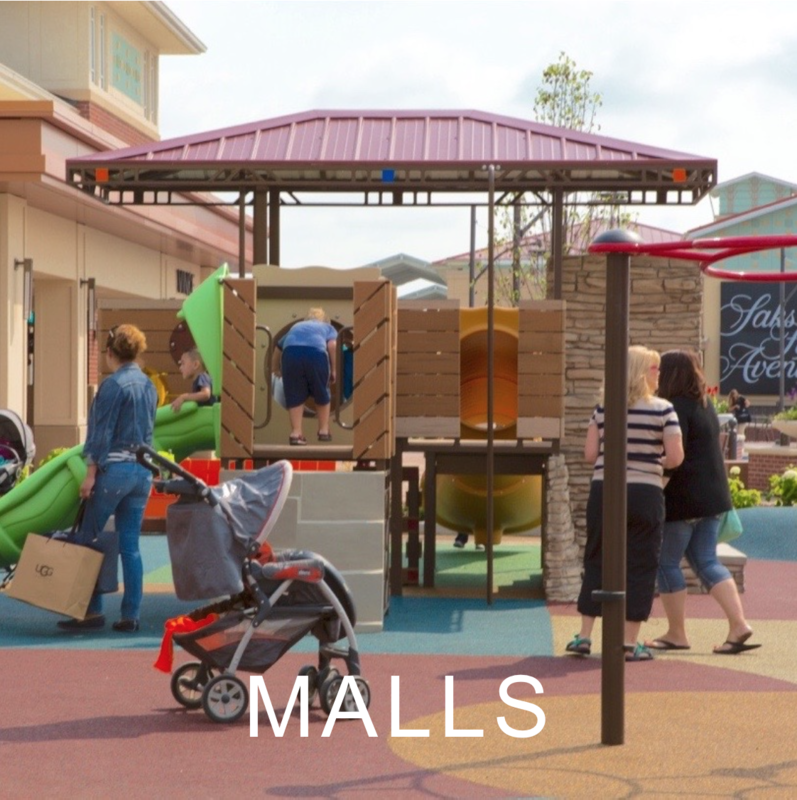 The centerpiece of this one-of-a-kind park is two 50 foot silos loaded with play including a zipline and the tallest slide in Fort Collins with red light/green light triggers as well as sound including sonic blast, toilet flushing and more. 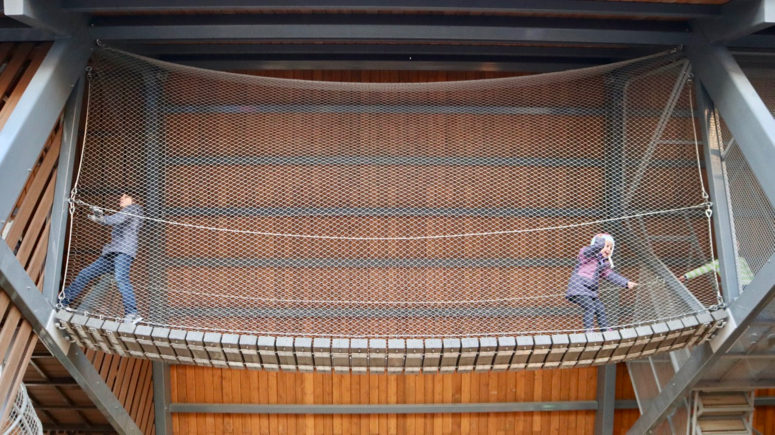 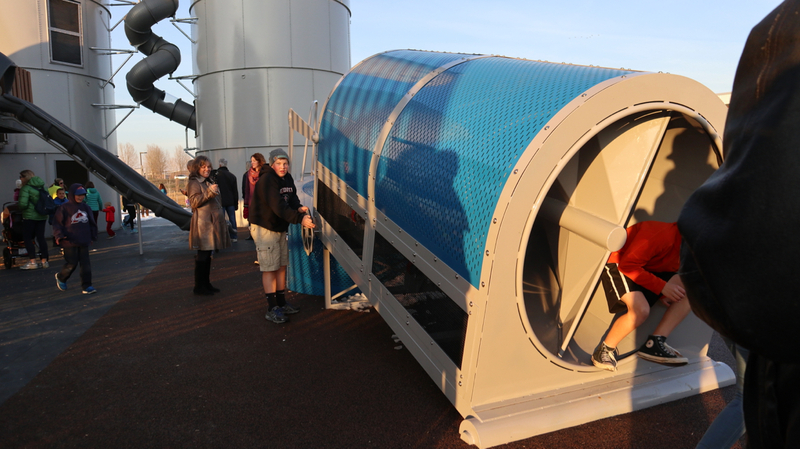 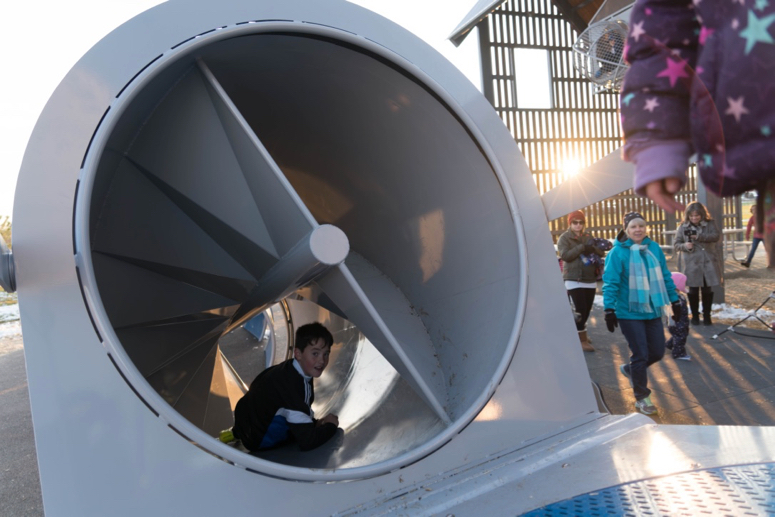 The kids particularly love that the slide travels through the silos. 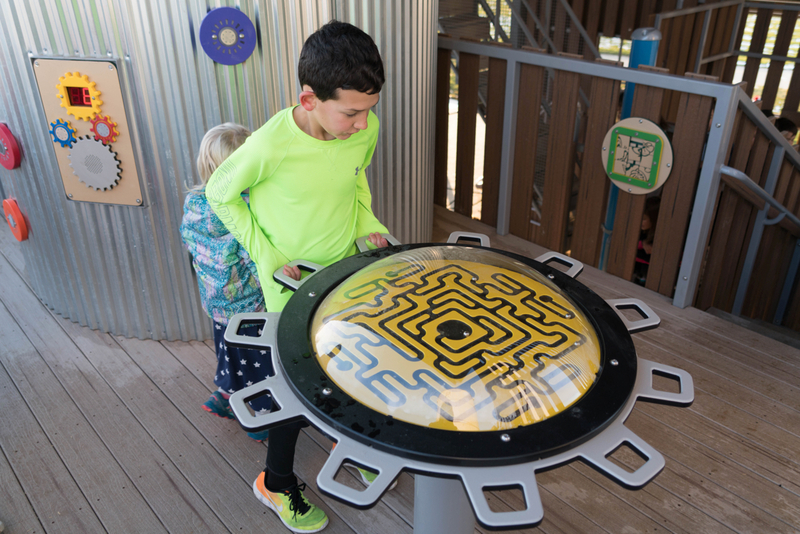 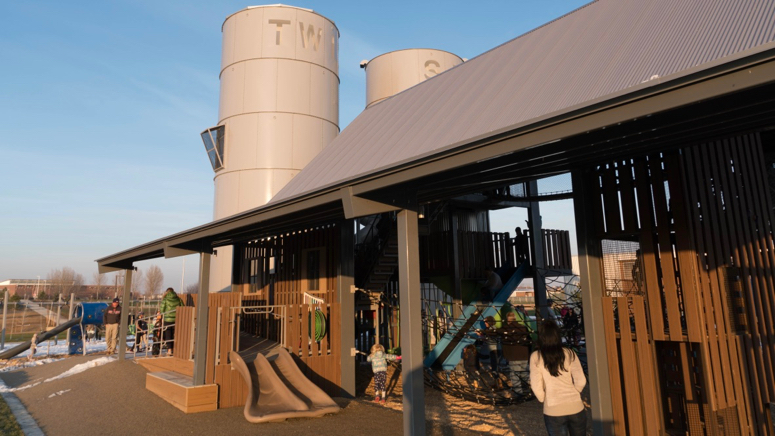 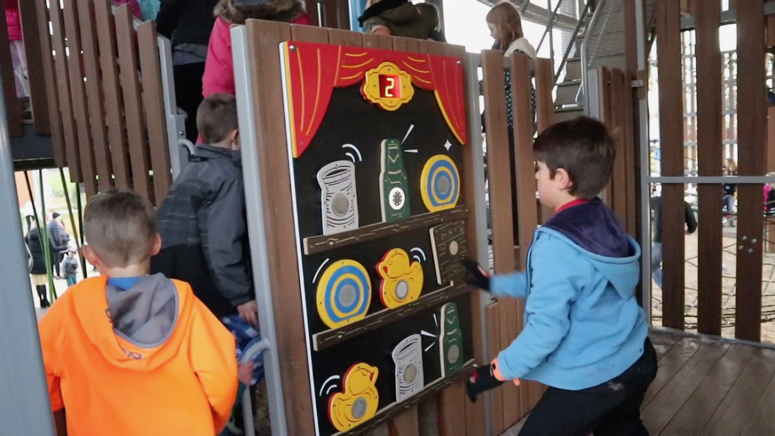 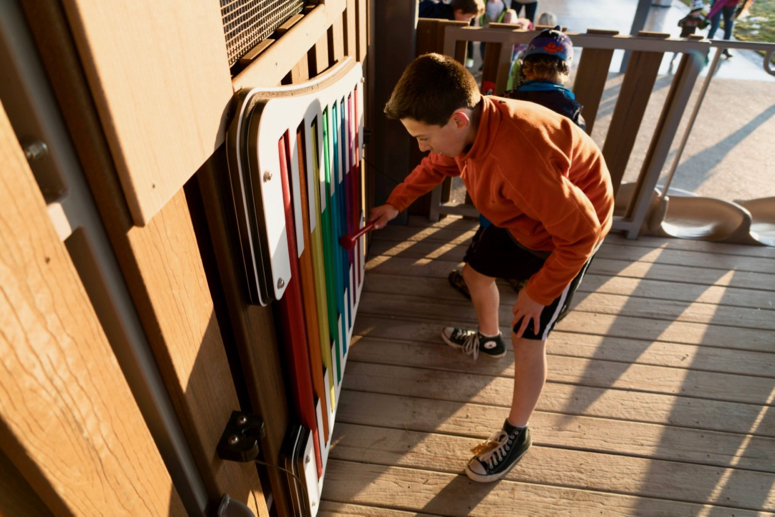 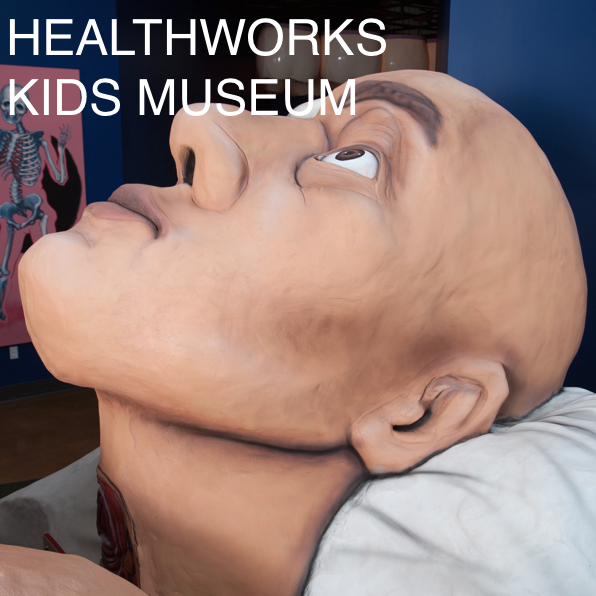 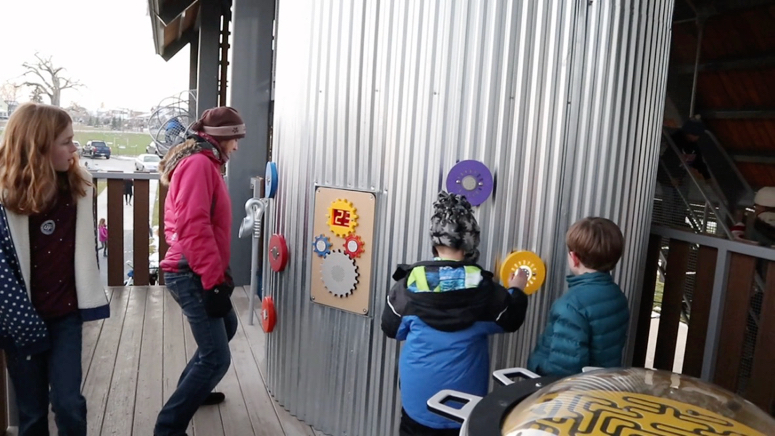 Twin Silo park is loaded with other interactive elements including a unique auger simulator and a mixture of games that address cognitive development including musical, memory and puzzles. Other challenges are of a more “fear-factor” nature including the 13 feet high Suspension Bridge. 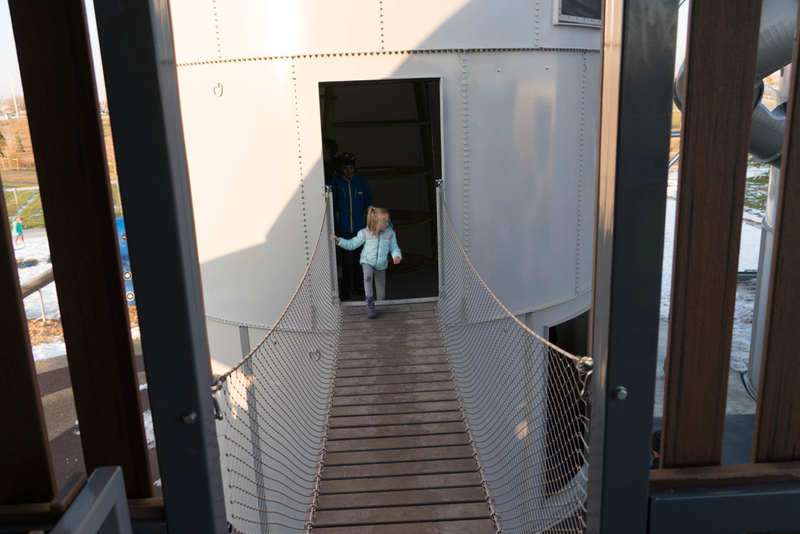 Narrow by design, the bridge is wide enough for only 1 child at a time teaching lessons of patience and conflict resolution. Who passes first? 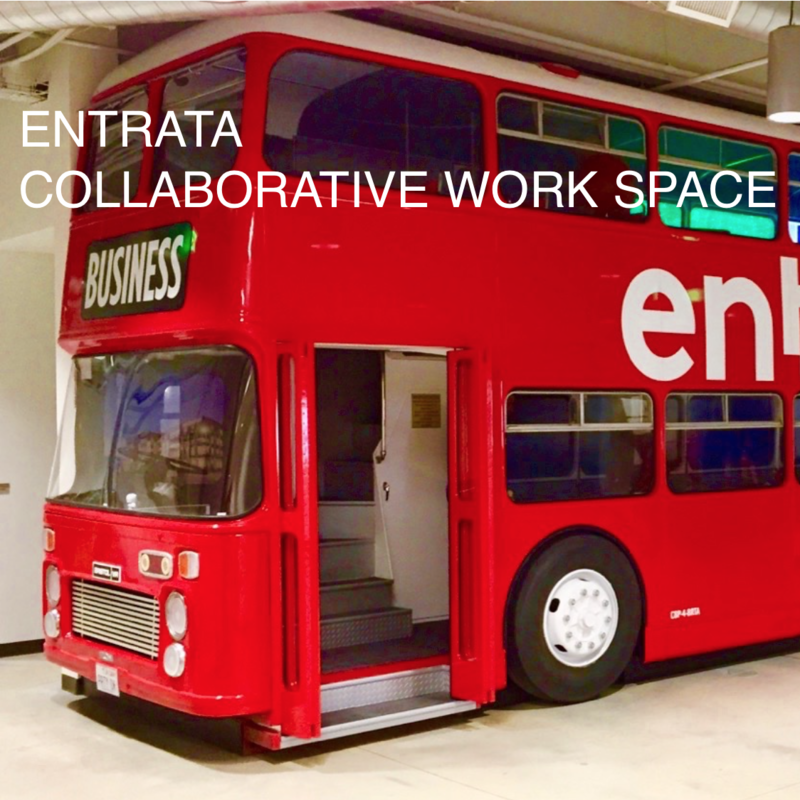 How do we work together to pass each other? 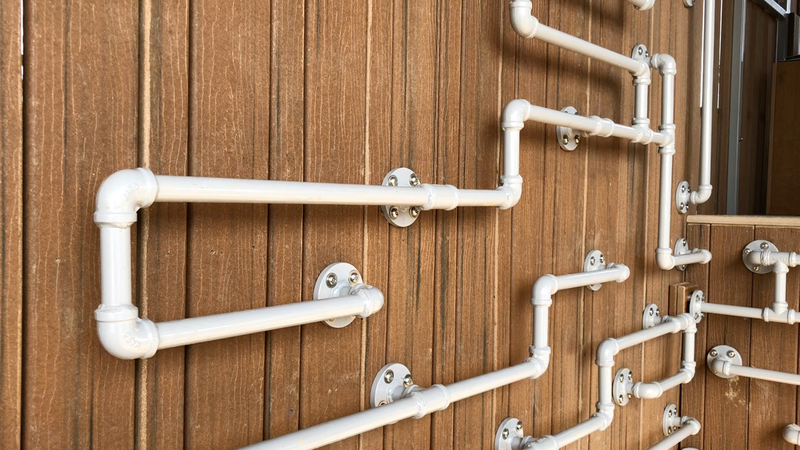 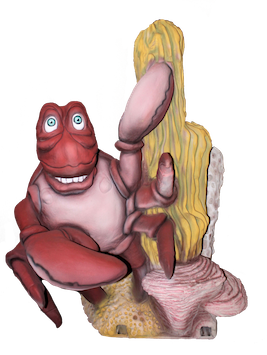 The Mouse Crawl hosts various levels of twists and turns in an intense vertical space. 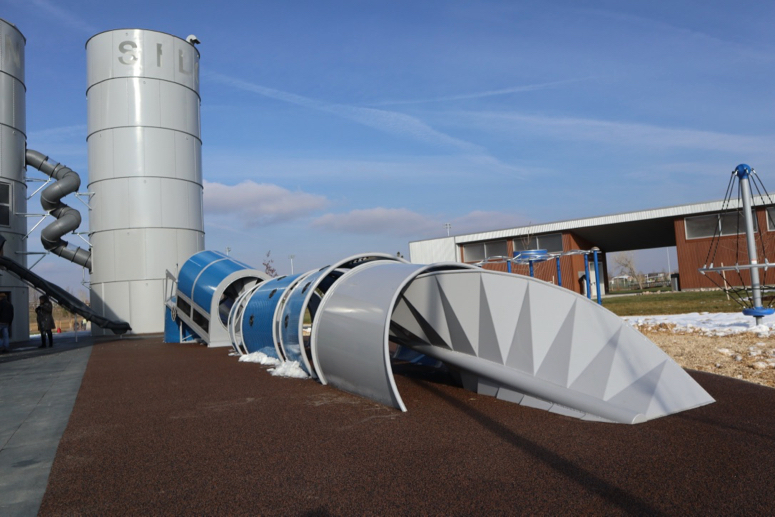 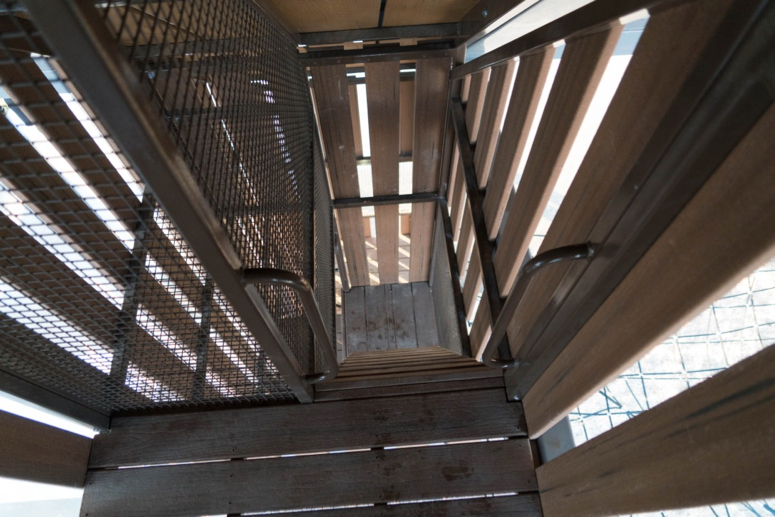 And perhaps the most unique feature, is the double-helix climber in one of the silos with a challenging climb to the very top! 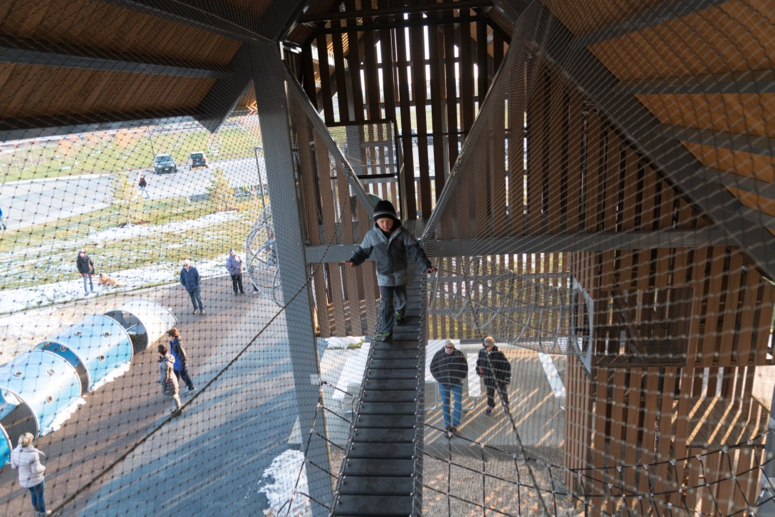 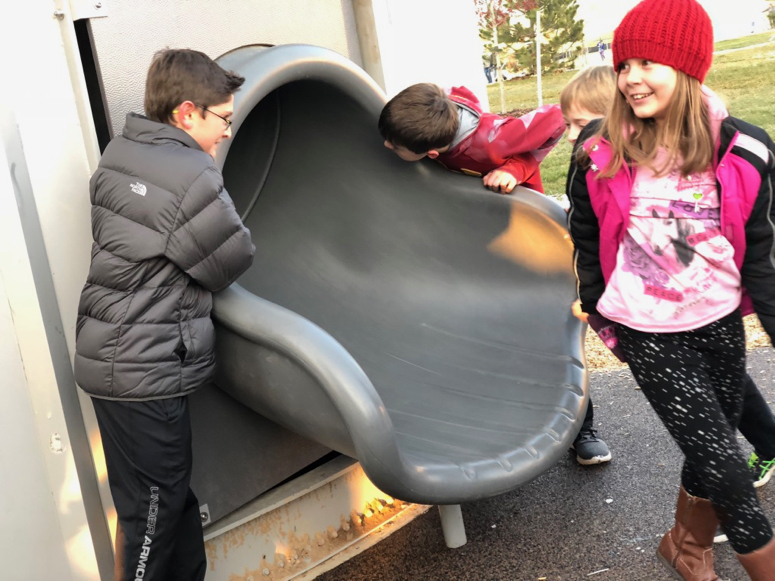 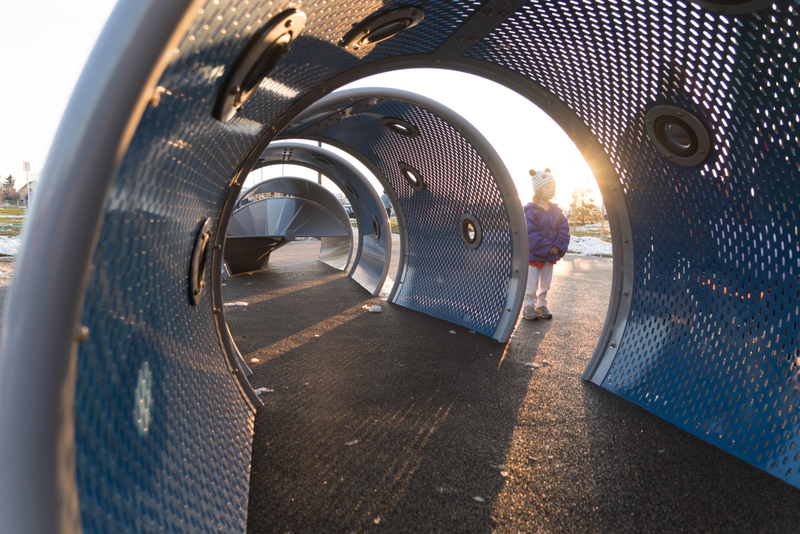 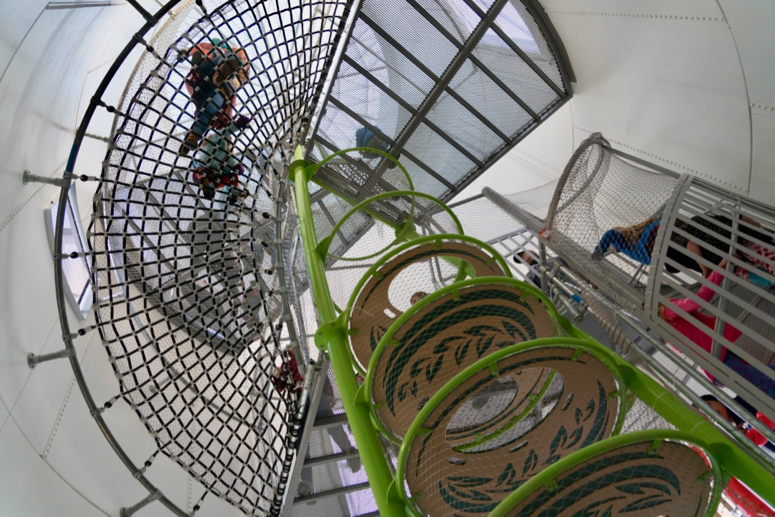 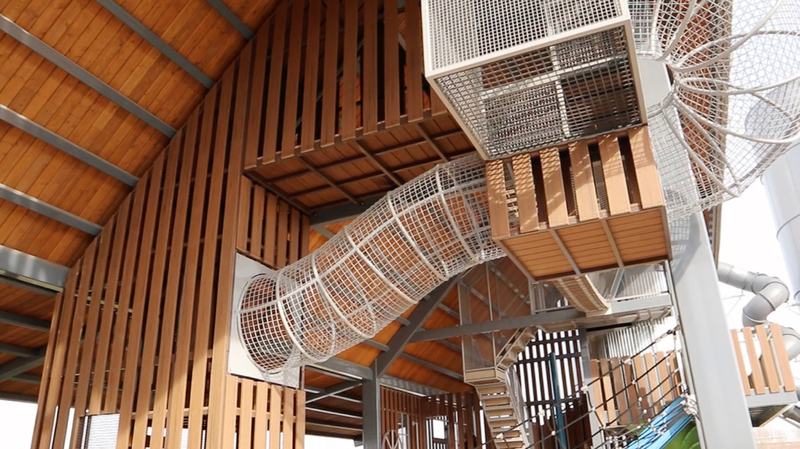 Other climbing challenges include a metal pipe and fittings climbing wall, a conveyer and hay bale climber as well as multiple giant web climbers. 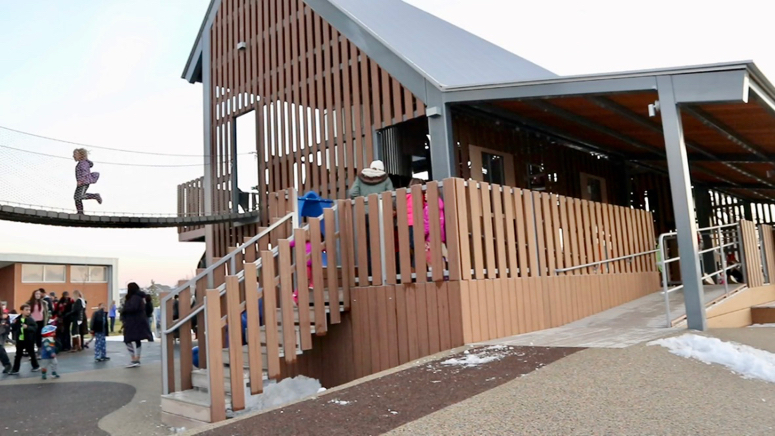 The Backside of the barn is completely ADA accessible up to a 4 foot deck and 5 foot slide and transfer accessible up to 9 feet. Artistic elements include the letters “T W I N S I L O” which were cut out of the silo and light up with different colored lights that make for a very impressive evening light show. 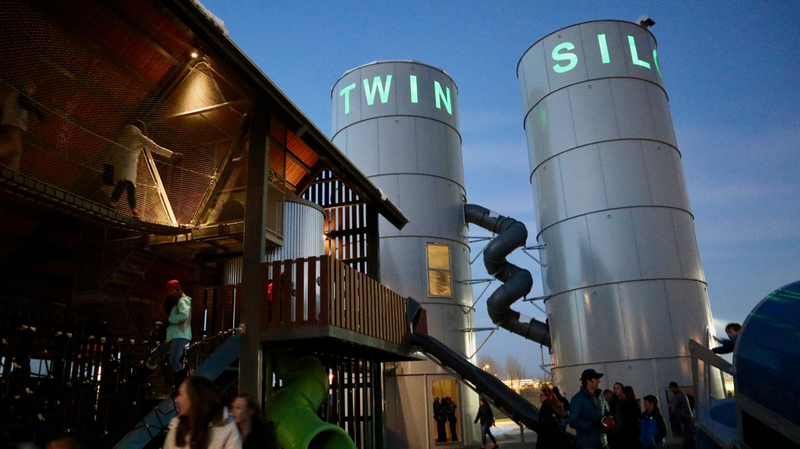 The park is outfitted with LED lights throughout the silo and barn for night play.